Dentist Reviews - Success with All-Star Training! Read real-world results that All-Star Dental Academy dentists and their teams are making! I’ve been happy with the results we’ve gotten over the last year. Hygiene production nearly doubled and overall office production gained 20% while collections went up to 99.5%. Money well spent. I would tell others to try it. It is money well spent and all you need is one quality training program. It’s been wonderful. The content of the material is high-quality. Working with a coach gives us the accountability. The personal attention specific to my practice that took us to the next level. Our case acceptance has gone up! Our collection production went up $150,000 since starting coaching. Helping dentists succeed in business and life with the highest ethical standard is what gets us up every day to work for you. We designed All-Star to give dentists a competitive advantage over the corporate practice. Thank you for being part of the All-Star movement! One of the best investments you can make in your company is to have properly trained and highly skilled staff. All Star Dental Academy provides the skill and training online 24/7. My staff trains during down time and after hours to be at their best without ever having to close the office and miss out on patient care. My staff and All Star Dental Academy do an amazing job! If you plan on doing bigger case dentistry, All-Star Dental Academy is the only program of its kind. I have never found a program like it. Their support is outstanding and they’re always adding additional, relevant content from the industry’s leading practice management experts. If you plan to have an all-star dental practice, then you need All-Star Dental Academy. You could double your referral base! This is one of the finest programs you can take. You will learn to become a strong leader. Very powerful. I’ve been through all their webinars and study clubs, and I can’t tell you how much I’ve learned. We are all progressing well through the online training and continue to have regular training staff meetings to learn and role play. All Star customer service has definitely become the culture of the office….. And IT WORKS! The five-star reviews are rolling in and the phones are ringing off the hook! In fact, I am making some new administrative and systemic changes to accommodate the growth. As a practicing dentist and former president of the Florida Academy of Cosmetic Dentistry, I am no stranger to training programs. My team is more productive and my patients are happier. I highly recommend All-Star Dental Academy as a fantastic resource in dentistry. We are so grateful that leading dental organizations support All-Star Dental Academy’s mission to eliminate sales training in dentistry and replace it with a Fortune 500 service-based approach!  We are excited to add All Star Dental Academy to our Member Advantage Program. Their online training programs are high quality and can easily fit into a busy staff member’s schedule. It is a true honor when your colleagues back and support you. We are so grateful for the wonderful world-class consultants that back All-Star Dental Academy. All Star Dental Academy is a first-class operation. Their library of interviews and quality of the content they provide is excellent. I challenge any dentist who is dead-serious about growing their practice to set aside time to listen to them. You’ll never be successful if you don’t get patients to schedule and commit to your office-before they ever walk through the door. The first impression a patient gets of your office are most often through a phone call. That is why I’m so excited about All-Star Dental Academy. It’s the best, most thorough, comprehensive training for scheduling and phone skills that I’ve seen! I took the All-Star Dental Academy journey myself before I engaged my clients to join me on this service based journey. If you have been holding out for a program that trains your team on how you believe your patients should be treated … This is It!! Your patients will appreciate your investment in your team and you will appreciate your investment in your practice! Five Stars for Five Star Service!! The Online Training Event That Started It All!